Erborian (‘Herbs of the Orient’) adapts Korean skincare expertise based on herbs, to beauty rituals for women around the world. The range comprises surprising and ground-breaking ‘intelligent’ beauty products made in their laboratory in Seoul. 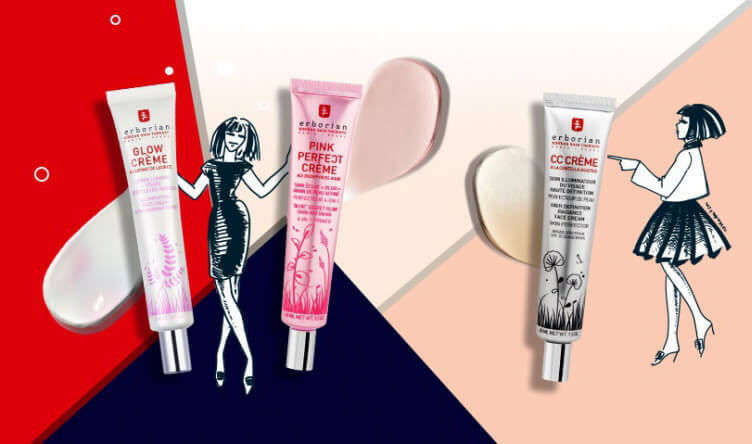 Korean brand Erborian (‘Herbs of the Orient’), established by Korean scientist Hojung Lee and beauty globetrotter Katalin Bereny, adapts Asian skincare expertise that is based on herbs, to beauty rituals and skin therapy rituals for women the world over. The natural, K-Beauty range is renowned for its surprising and ground-breaking ‘intelligent’ beauty products. The exclusive formulas, with their exquisite scents and textures, are developed in Erborian’s laboratory in Seoul, where they use the most advanced technologies.